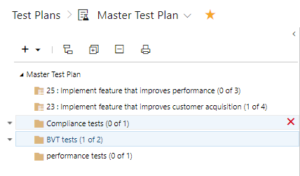 Test plan test case tree view counts have disappeared! 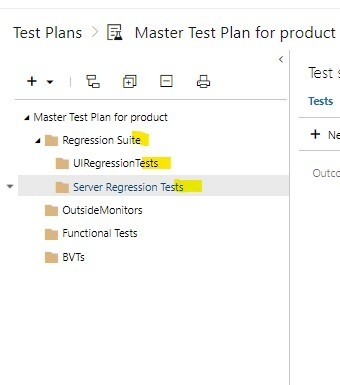 [Update: 6th Feb, 2019]: This issue should now be fixed in all the organizations now, you should be able to see the counts next to the test suites. Please reach out to devops_tools at microsoft dot com if you’re still having issues with this feature. This post is a tad late but if you have reached this post via a google or bing search, you are likely wondering where the test point counts that used to appear in the suite tree have gone!? We have fixed the issue but unfortunately the rollout has been slow because of several other issues. The good news is that the issue is now fixed in all the TFS rings (from ring0 to ring4). Ring 5 is still pending and should be done in a few more days. If you’re still not seeing the count in your Azure DevOps organization it is likely that the org is in Ring 5. Please reach out to devops_tools @ microsoft dot com and we can enable the feature on your specific org to unblock you. PS: Next time around I’ll try not to procrastinate a lot on these posts.